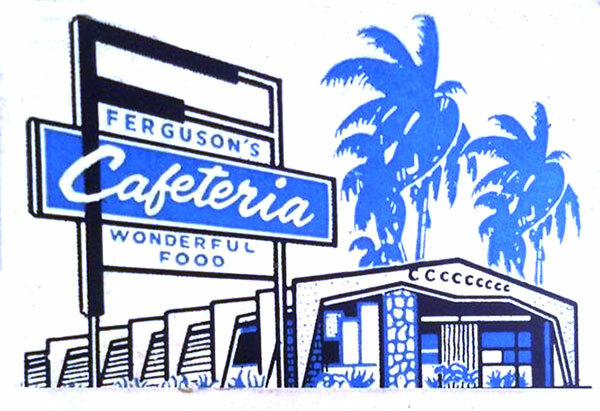 Matchbook cover illustration for Ferguson's. 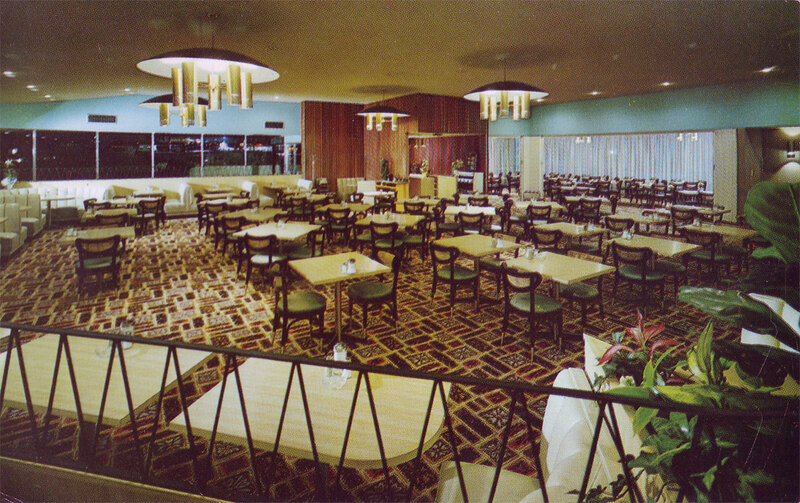 Note how simplified it is compared to photograph below. 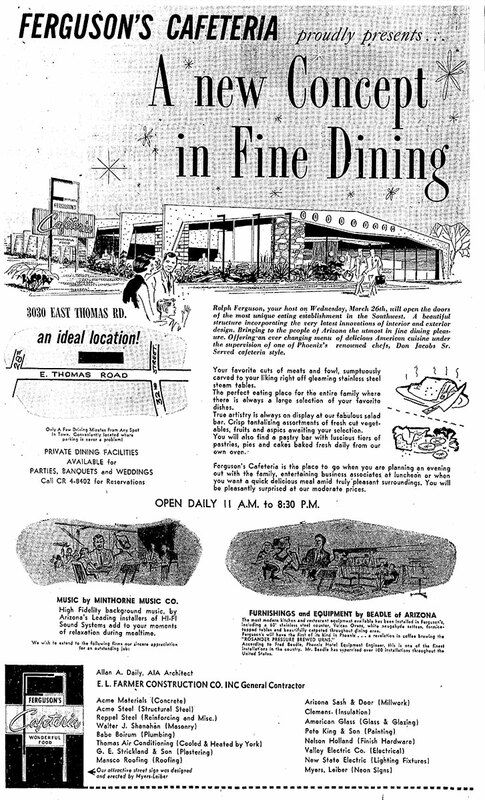 Imagine a "new concept in fine dining" at an "ideal location" across from Tower Plaza! 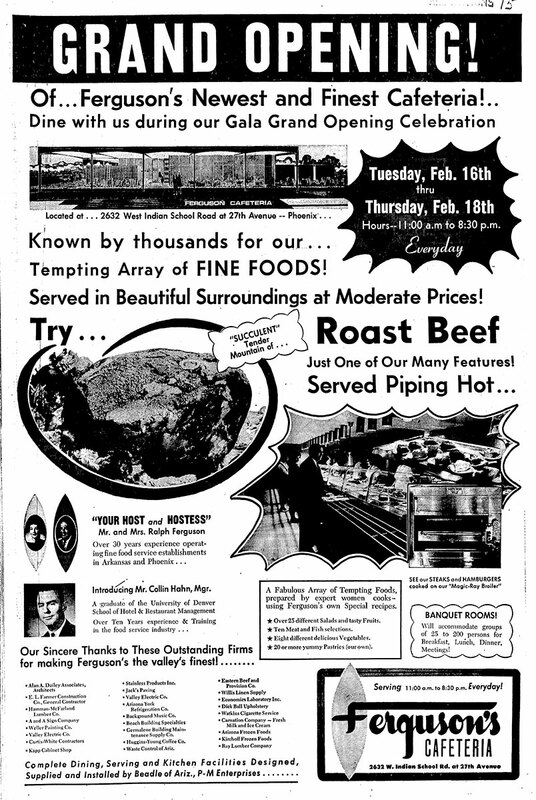 Enjoy "a tempting array of fine foods" such as "succulent, tender and piping hot roast beef" or steaks and burgers cooked on a "magic-ray" broiler. 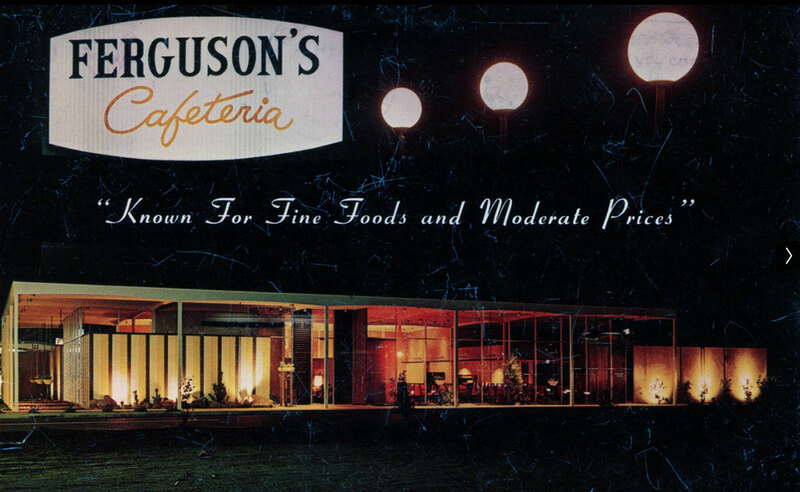 "Crisp, tantalizing assortments of vegetables" and "luscious tiers of pastries" await you. 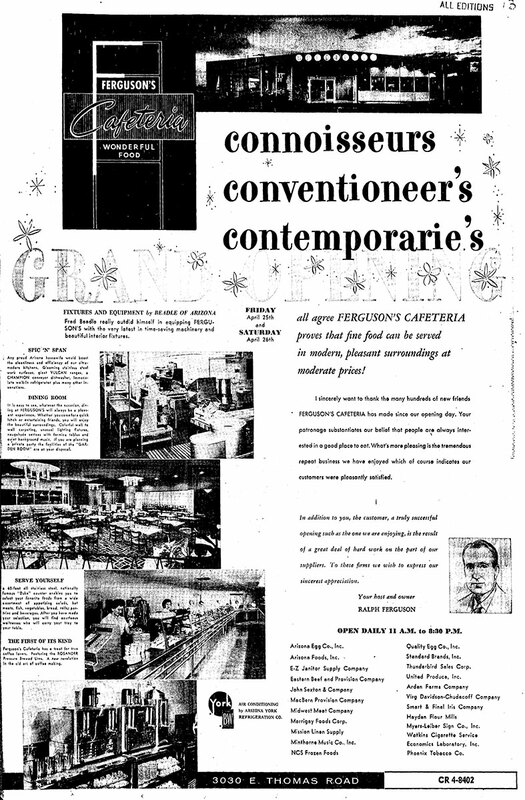 Soothing hi-fidelity music is piped through the "modern, pleasant surroundings" for "conoisseurs, conventioneers and contemporaries". 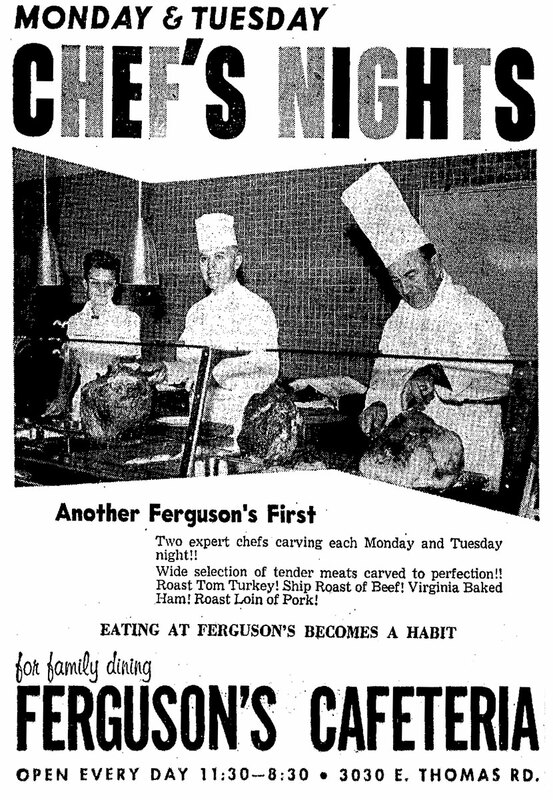 So good, that "eating at Ferguson's becomes a habit!" 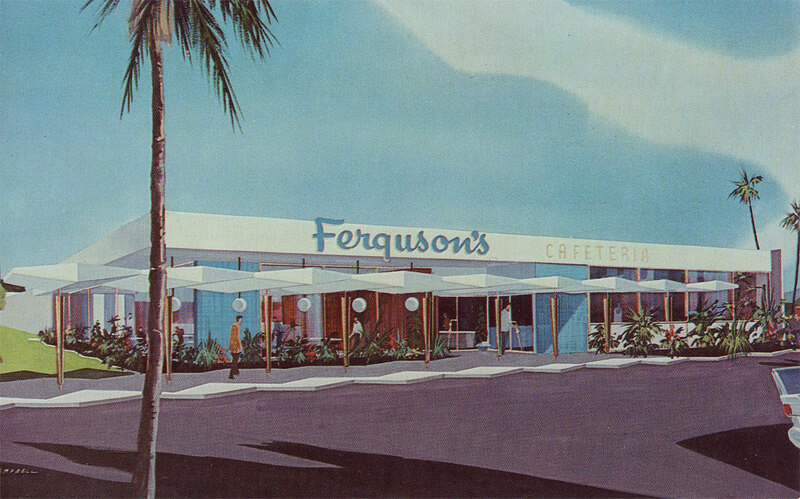 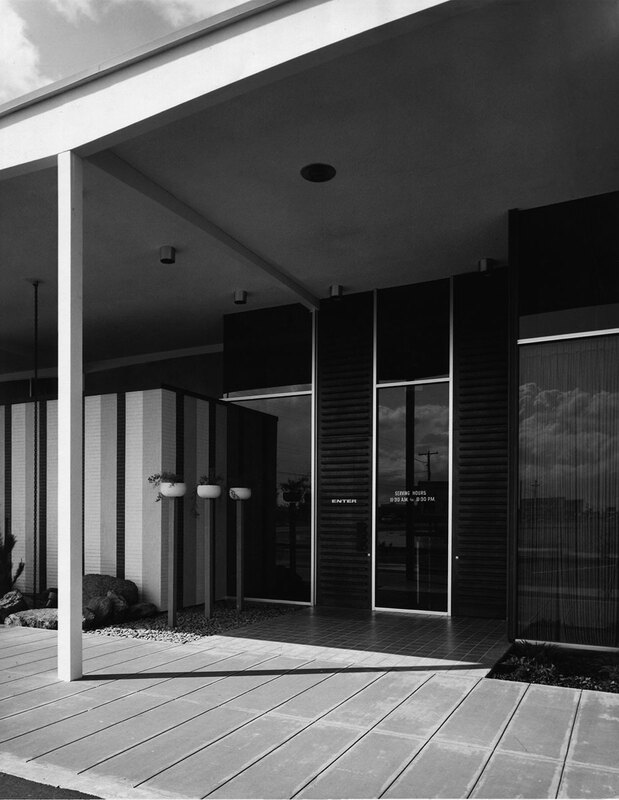 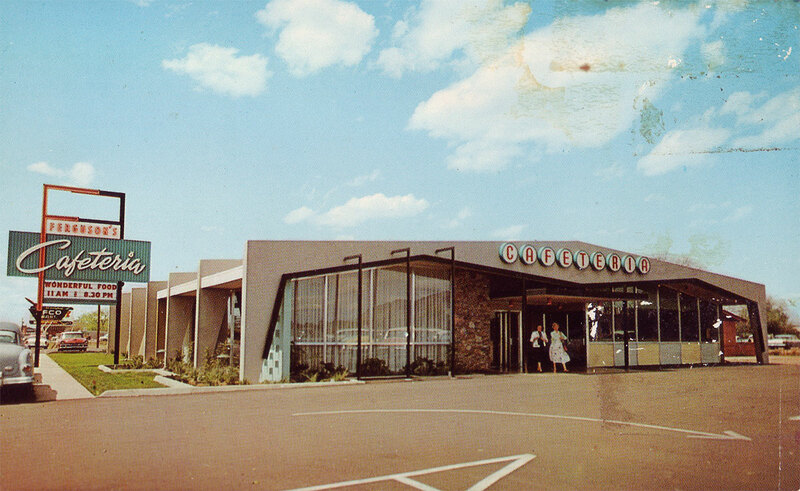 Three exciting and state-of-the-art locations of Phoenix's finest Googie style restaurants have been demolished since their heyday in the late 50s to mid-60s. 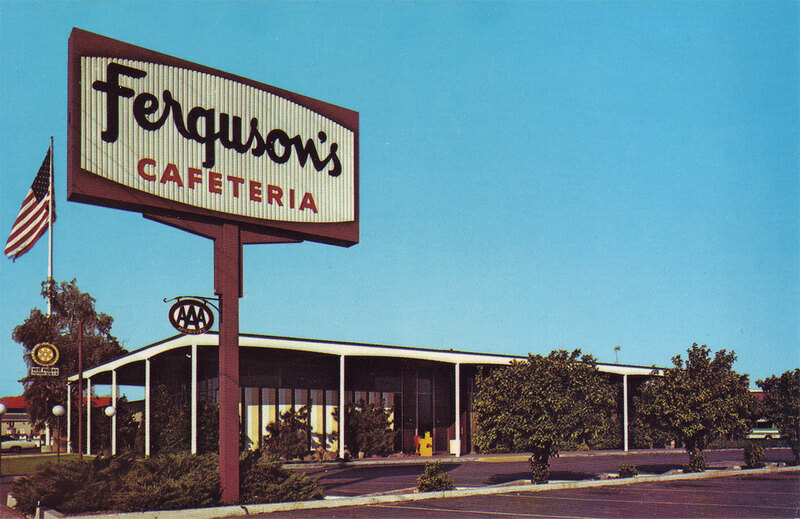 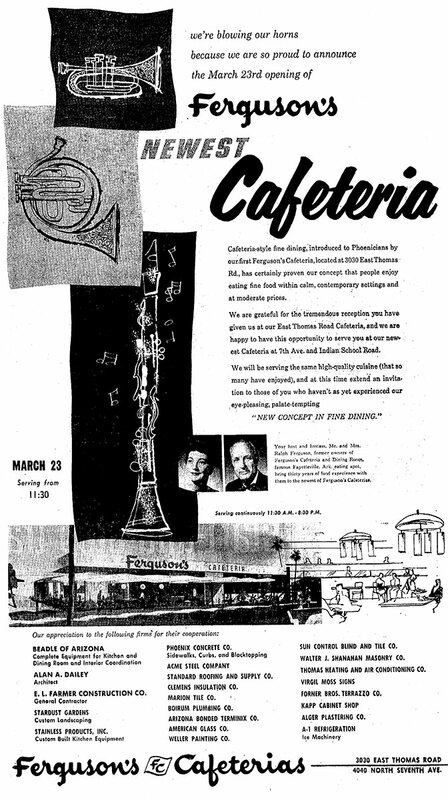 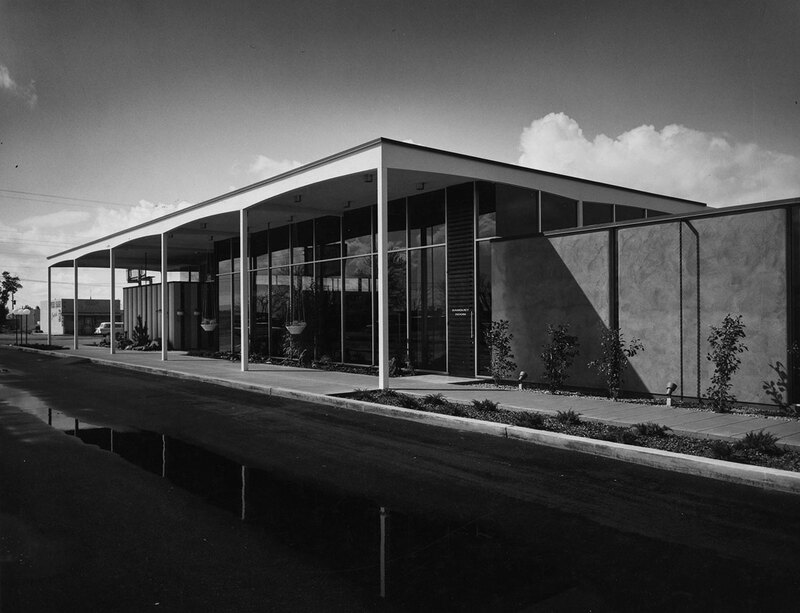 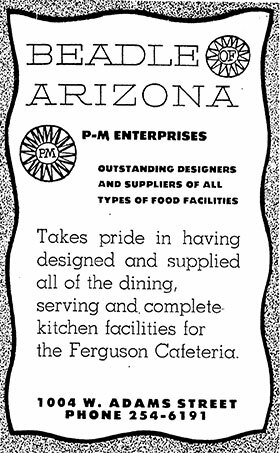 Working through his father's kitchen equipment company and getting architect Alan Dailey to sign off on the construction drawings, all three Ferguson's restaurants were indeed designed by Al Beadle. 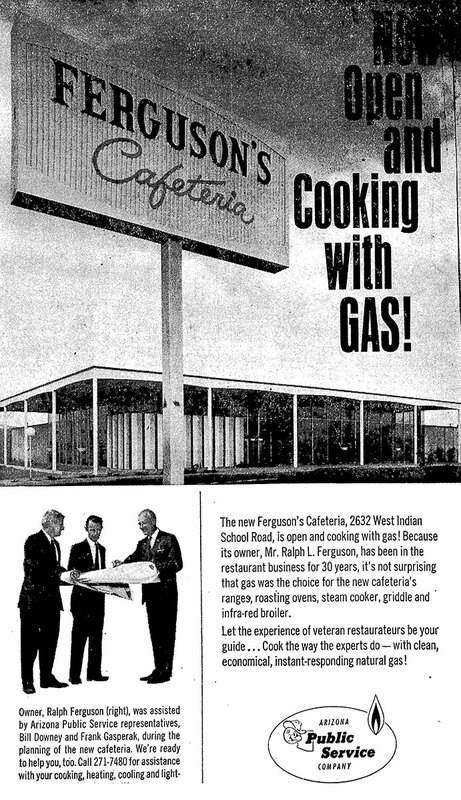 The vintage articles shown below are enlargeable, just right-click or pinch to zoom.